The GENERIS PVD system is ideally suited for challenging transparent conductive oxides layers like ITO and AZO to match the key requirements of Heterojunction cell technology. With the GENERIS PVD sputtering system, contact layers can be deposited on the front and rear of the Si wafers without the need to turn the wafers between coating processes and without vacuum interruption. Also full area metal coatings, e.g. Ag, can be deposited within the same system. 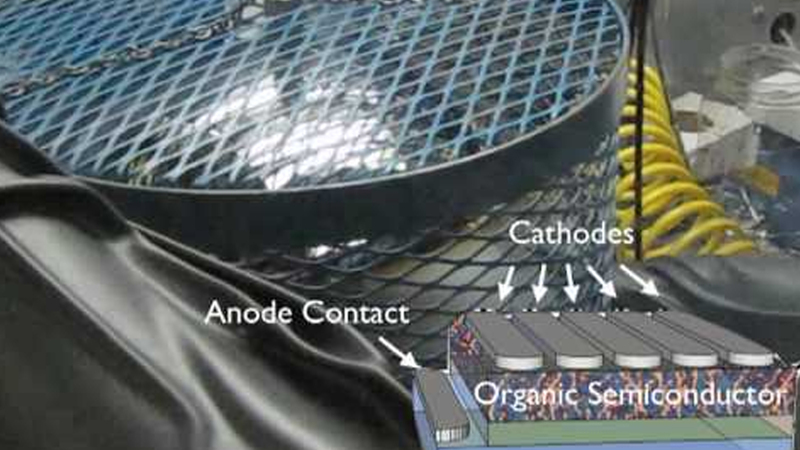 By using rotatable sputtering cathodes, highest target utilization is achieved and offers lowest production costs. The GENERIS PVD system with a modular chamber setup provides a throughput range from 2600 wph up to 5200 wph. Different metallic layers like Al, Cu, NiV, etc. are available. The GENERIS PVD is using an inline process in which the Si wafers are transported on specially designed carriers, providing edge isolation simultaneously. The carrier return system is located below the machine under clean environmental conditions. Different automation options for loading and unloading are selectable.